Storyline: Jason has been prophesied to take the throne of Thessaly. When he saves Pelias from drowning, but does not recognize him as the man who had earlier killed his father, Pelias tells Jason to travel to Colchis to find the Golden Fleece. Jason follows his advice and assembles a sailing crew of the finest men in Greece, including Hercules. They are under the protection of Hera, queen of the gods. 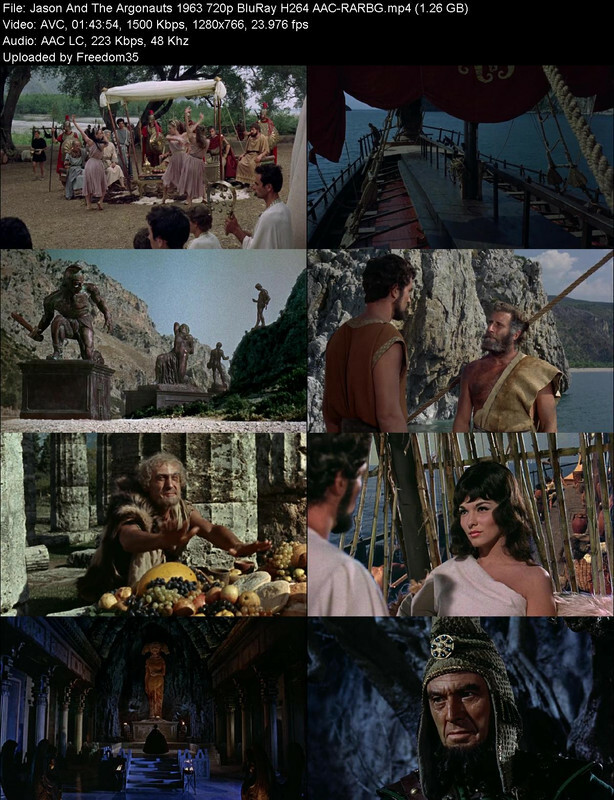 Their voyage is replete with battles against harpies, a giant bronze Talos, a hydra, and an animated skeleton army, all brought to life by the special effects wizardry of Ray Harryhausen.